Nothing says summer skin quite like a bold smattering of freckles across the cheeks and nose. But what should you do when you want the look, but you're not interested in the sun damage? 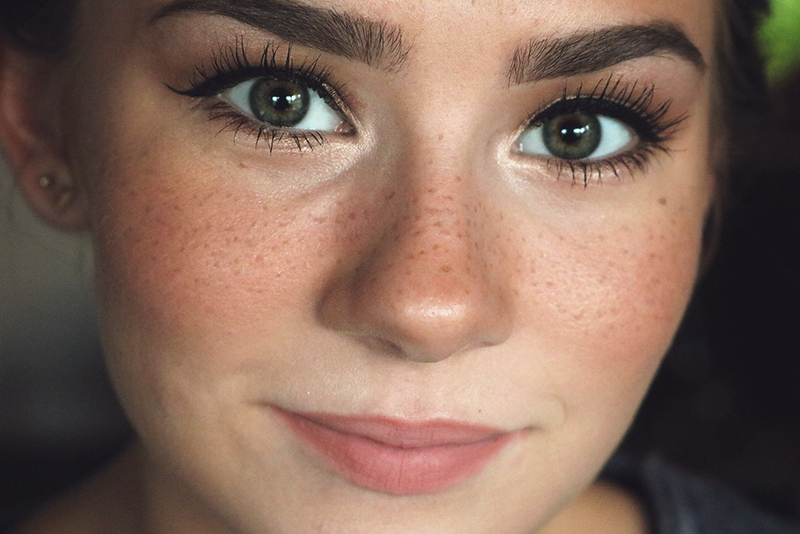 Faux freckles to the rescue! If your skin doesn't freckle naturally, or if you heed our warnings and practice “safe sun” by slathering on the SPF 30, then you'll need to “go faux” and add freckles with a makeup pencil. Here's how to make fake freckles that look just like the real thing! 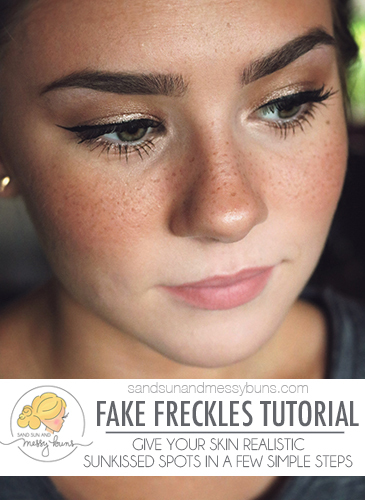 If you find my fake freckles tutorial helpful, please share this image on Pinterest! Since freckles pair best with a natural look, make sure skin is fresh and radiant by exfoliating and then moisturizing well. The cleanser I use is by CeraVe. It's very mild and is one of the cleansers most recommended by dermatologists. I use their foaming face cleanser for oily skin, but you'll need to select the best one for your skin type. To exfoliate skin, you can use a homemade mixture of organic sugar and melted coconut oil. Mix 1/4 a cup of each and stir it well. The price is right, and it's made from natural ingredients! If you'd rather buy something, I highly recommend Dr. Brandt Microdermabrasion — even though it's on the pricier side. The particles in the scrub are very tiny, and they do an excellent job of getting rid of old skin. For moisturizing, you guys all know I'm a long-time fan of Clinique Dramatically Different Moisturizing Gel. The gel-based formula helps keep my oily skin under control. TIP: If your skin isn't in the best shape, read my Top 10 Skincare “Do’s & Don’ts”. I list tips to help you develop a good skincare routine so you can get your skin back on the right track! If you're blessed with beautiful skin, you may want to skip this step. For those who prefer some coverage, I suggest using a lightly tinted moisturizing cream or a BB cream as a base layer. There are a couple different application methods you can use to apply fake freckles. I've linked to my updated post that shows my current application method, but I do sometimes still use the brow pencil option listed below. I wish the pens hadn't been discontinued, because they're probably the easiest method I've ever used. 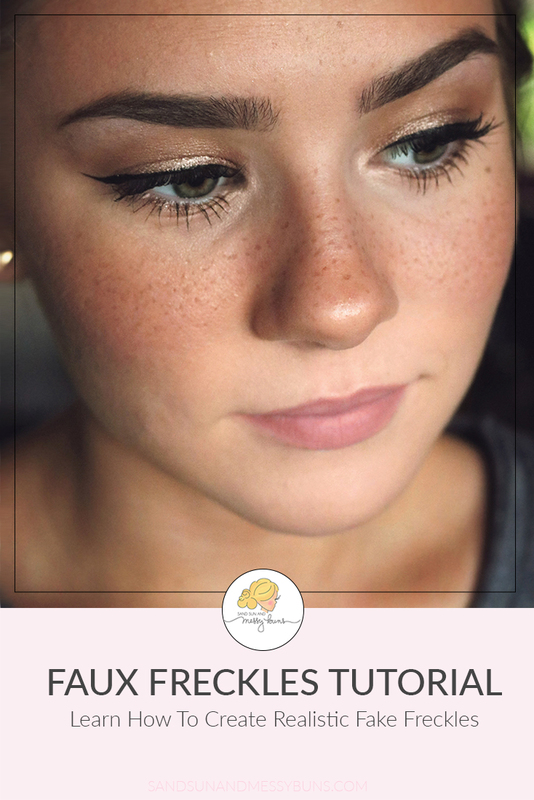 You can use eyeliner or brow pencils to draw freckles. I use 2 or 3 brushes in varying shades of brown. It works better if the tip is blunt, so don't sharpen them too much! To apply, touch the pencil to your skin and twist. Spread the fake freckles across the bridge of your nose and upper cheekbones where they'd appear naturally from the sun. I use Anastasia Beverly Hills Brow Wiz pencils in “Soft Brown”, “Medium Brown” and “Taupe” to create realistic freckles for my skin tone, but you'll have to find the ones that work best for your skin. UPDATE 10.15.16: Since I'm always experimenting with makeup, I often discover improved methods of application. 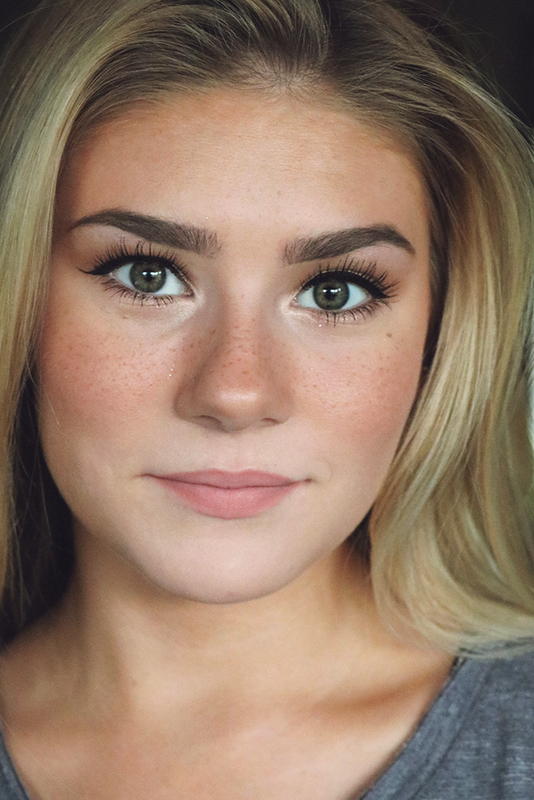 The freckles in all of the photos on this page were created using Anastasia Brow Wiz pencils, but I've been experimenting with pens to draw them on recently and like the results even better! I just uploaded a video to my YouTube channel showing exactly how I apply the freckles now using brow PENS instead of pencils. See below for product links. 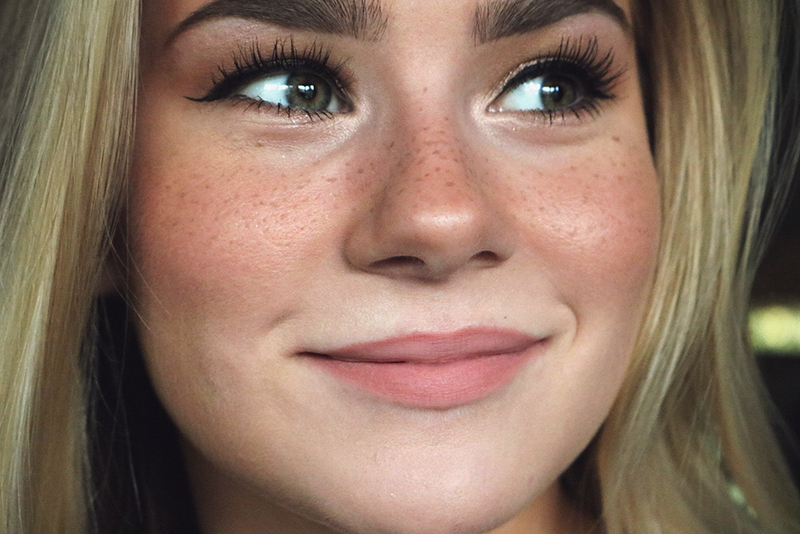 Go faux with my fake freckles tutorial! Click here to view it full size on YouTube. UPDATE 07.01.18: The products listed below are being discontinued, but I'm leaving this video up because so many of you like it and have told me you find the technique helpful. I currently use GetFrecked for my faux freckle routine. **Link to my updated routine. ** Use code DAISY10 for a 10% discount at GetFrecked. The NYX Cosmetics Eyebrow Marker [discontinued] is a great tool for drawing fake freckles. I combine it with Anastasia's Brow Pen in the shade “Universal Light” [discontinued]. When adding freckles with a pen, move to Step 4 quickly and “smush” them into your skin while the ink is still damp. TIP: To see examples of guys and girls with fake freckles, go to Instagram and search the hashtag #fauxfreckles or #fakefreckles. This will give you an idea of how others scattered them about. To blend freckles into skin, lightly press your finger over each one. This will warm the product so it spreads out better and the edges won't look too defined. To ensure freckles remain in place all day, use a large brush and set with a light dusting of translucent powder. I use the Laura Mercier Loose Setting Powder in “Translucent”, because it's the best powder I've found and is totally worth the price for me. However, if that price is too high for you, Maybelline Master Fix Setting and Perfecting Loose Powder is a good dupe at about 1/3 of the cost. An even better alternative is to add a very light dusting of bronzer! That way you'll look like you've been enjoying the sun! Benefit's Hoola Bronzer and bareMinerals Invisible Bronzer are both good ones (for fair-skinned girls like myself) that have really natural finishes. Watch my bronzer video if you want tips on applying bronzer so it looks natural. TIP: Want to get a little artsy? Check out this girl with golden freckles or this fierce look with colored dots. Salt in my hair…sand between my toes…sunkissed skin…that's how it goes! Any person with freckles automatically seems to have a more carefree and fun personality, don't you think?! I'm not sure why, but I guess it gives the illusion that they're outdoors a lot. Or maybe it says they don't feel the need to hide under a ton of makeup? If you need more inspiration, here's a shot of Kendall Jenner showing off her faux freckles on Instagram and here's my gallery of Celebrities with Beautiful Freckles. I also added some really dramatic freckles to my Rapunzel costume for Halloween. Finally, here's a recent post of me, and if you scroll to the last photo you can see how I look in winter with my hair dyed darker and fake freckles on pale skin! Ok, I hope that helped you learn how to make fake freckles that look natural. Tag or dm me on Instagram if you decide to do them! It's always so fun seeing how they turn out on you guys. UPDATE 07.01.18: Don't forget to check out my UPDATED FOR 2018 & 19 fake freckles tutorial (with video), if you haven't already. What products do you use now since Anastasia Beverly Hills Brow Pen in Universal Light has been discontinued? This is so interesting! You look gorgeous! I wonder how it would look on brown complexion. I had no idea that people used makeup to create freckles–they run in my family, my siblings and I seem to have always had a permanent case of them! Gorgeous! I had never thought of doing this, but it’s so cute! This is so cool! You are absolutely gorgeous! How neat!! Ive missed your blog so much!! Ive been so busy this summer! Your such a stunner. I know, I’ve been busy, too. 🙂 School starts for me next week, though.